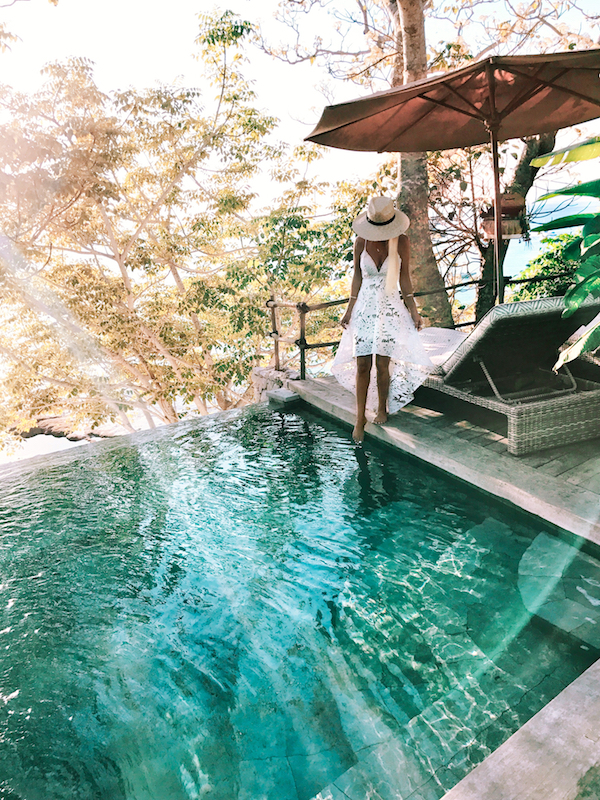 I’ve finally found my favourite part of Bali…a short boat ride from Sanur, Nusa Lembongan is for the gypset at heart, looking for that tranquil, relaxed island vibe with all the luxuries one could wish for. We stayed in the beautiful Tamarind bay at the amazing beachfront Villa Sayang. The Lembongan Traveller, who are Lembongan experts, sorted out all our travel details for the most enjoyable, relaxing and seamless holiday. Everything went beautifully and we were able to experience and see so much during our time, whilst still moving at that lovely slow island pace we love so much. 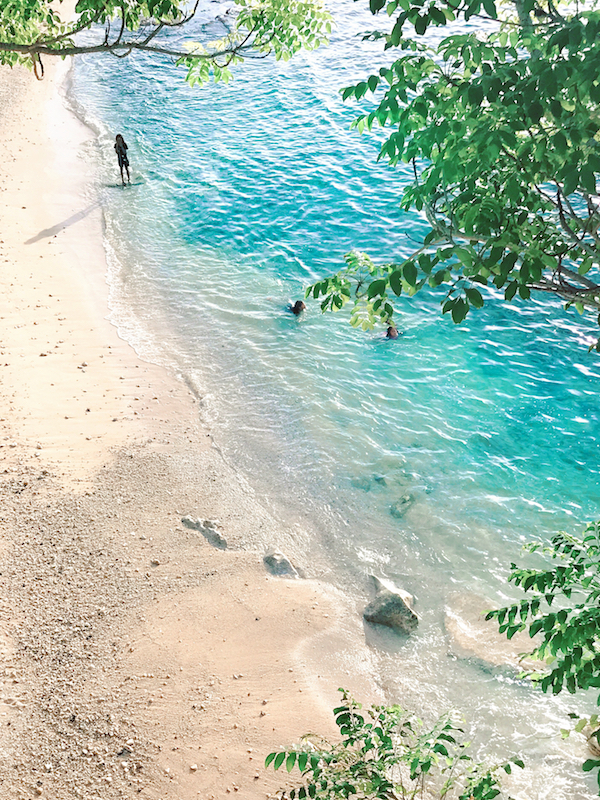 We were blessed with some absolutely stunning sunset views, pristine surf, supping and snorkelling at our doorstep, and the best food and staff one could hope for. 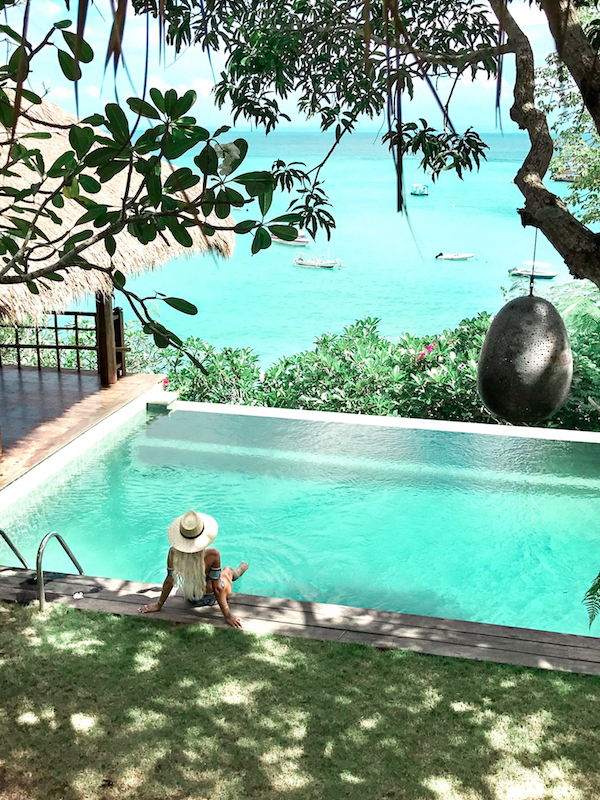 Villa Sayang is the perfect villa for families, groups and couples, as you can book either the entire residence or just a couple of rooms of this multi-leveled villa estate. With picturesque infinity pools overlooking the ocean, a villa boat, snorkelling, surfboards and sups at your beck and call, and happy, smiling faces always ready to assist you with anything, it’s hard to leave this place. During our island stay we were lucky enough to experience some very cool boat trips. The highlight was taking a catamaran to Crystal Bay, Nusa Penida and snorkeling with some seriously giant, vibrant fish in the most unbelievably clear turquoise waters. We sat on the beach, sipping coconuts, feeling a million miles away from everything, not a worry in the world. As a bit of a foodie and always on the health conscious pulse I was so happy with my options here. We particularly loved Hai bar and grill, situated right on the beach and perfect for sunset views with some really good cocktails. For some fresh, local balinese style food check out Nyoman’s warung,and if you’re chasing unicorn pastel sunset skies like us then definitely head to Sandy bay beach club. 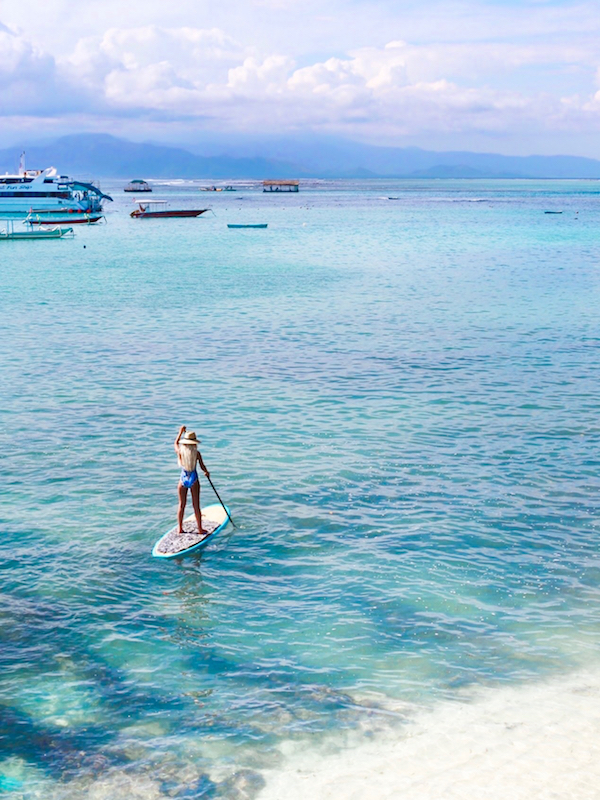 So if you’re looking for the kind of holiday where there are no cars, no crowds, and you can completely unwind, spend your days on the water, and enjoy delicious food with beautiful energy around you, head to Nusa Lembongan and make sure you organise your trip through The Lembongan traveller as they really know their stuff. Enjoy your travels and let me know where your next adventure is!